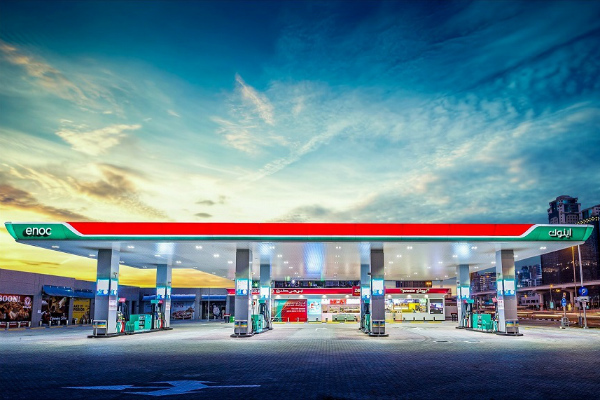 Dubai’s ENOC Group has said it will open 45 new fuel stations in Saudi Arabia over the next five years. The plans come after UAE rival ADNOC Distribution announced the opening of its first two stations in the kingdom last week. ENOC said the 45 stations would be built on the kingdom’s highway network, with an initial focus on the Central Region comprising Riyadh and the Eastern Province over the first two years. Each will include ZOOM convenience stores and retail outlets such as Pronto. “With Saudi Arabia’s long-term vision to diversify its economy, boost tourism and infrastructure and enhance business and trade, our plan to expand our retail network by over 220 per cent in the next five years is aligned with the Saudi Vision 2030, which aims to reduce oil dependency, increase privatisation and implement the Saudi nationalisation scheme,” said ENOC Group CEO Saif Humaid Al Falasi. The company, which currently operates 14 stations in the kingdom, will face competition from new entrant ADNOC and a joint venture between Saudi Aramco and France’s Total announced earlier this year. The Saudi government aims for 1,200 fuel stations to be built across the kingdom in the coming years.